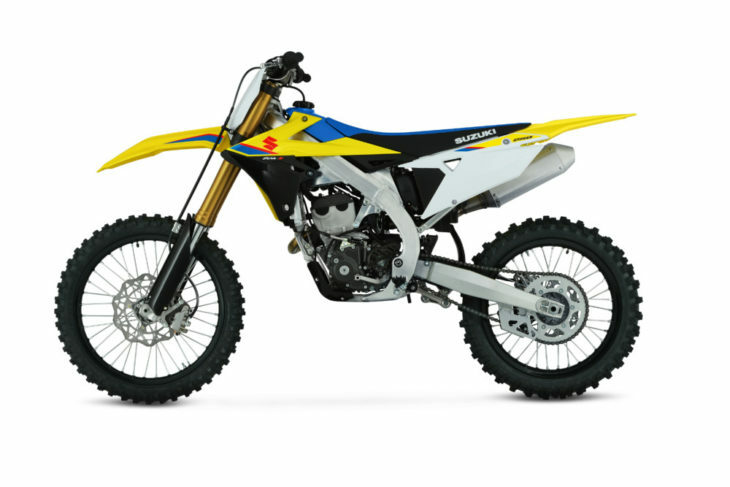 In July, Suzuki released photos and limited information about its all-new 2019 Suzuki RM-Z250. Today, Suzuki finally released full details regarding all of the changes to the ’19 RM-Z250. Price, however, has not yet been announced. The bike will be available in February. The Suzuki RM-Z250 gets a complete overhaul for 2019. Suzuki Motor of America (SMAI) is proud to release technical details for the all-new 2019 RM-Z250 motocrosser. 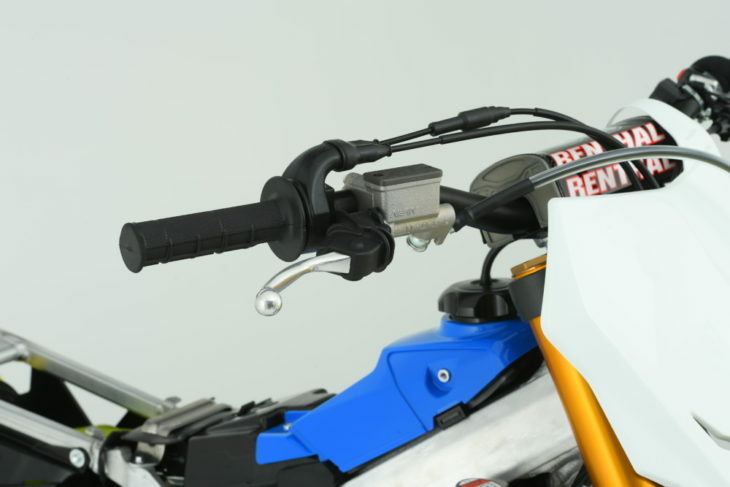 The 2019 RM-Z250 features a new cylinder head that contributes to better throttle response and power, and a new dual injector EFI system that increases performance through the entire rev-range. 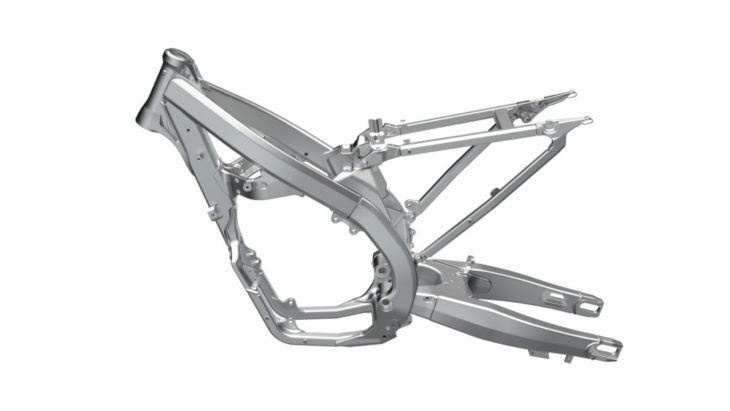 Exceptional handling from a new, lighter aluminum frame and swingarm contribute to the RM-Z250’s advancement as well as a new KYB-supplied suspension that includes a new coil-spring fork. Race-ready Dunlop MX33 tires and improved braking performance increases stopping power and feel with a larger front brake rotor to help keep the rider in control. Front brake has been updated. 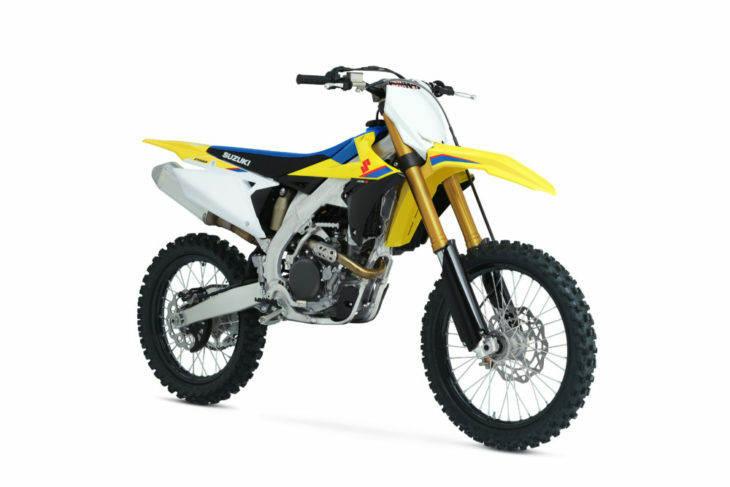 The 2019 RMZ250 gets new plastic that looks different but is functional as well. The 2019 Suzuki RM-Z250 won’t be available until February. 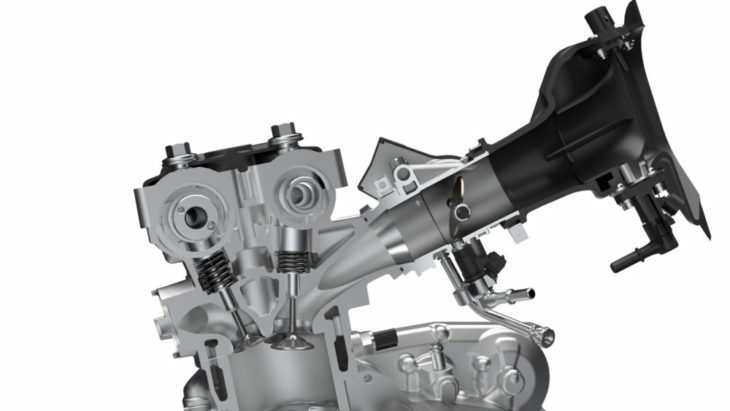 The intake camshaft profile is new,with more valve lift,increasing power at allengine speeds. The compact aluminum cylinder is finished with Suzuki Composite Electro chemical Material (SCEM) coating for durability, light weight, and efficient heat transfer. Engine starting remains simple, due to a proven kick-starter and automatic decompression system that works precisely and efficiently (eliminating the need for a heavy and costly electric start system). 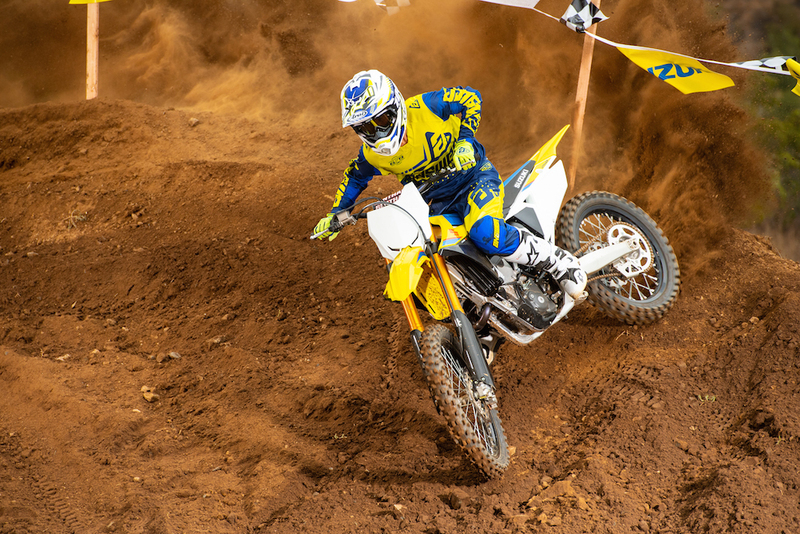 The 2019 RM-Z250 features an evolved and faster traction management system. The Electronic Control Module (ECM) continually measures throttle opening, engine speed and gear position and then adjusts the ignition timing and fuel injector duration to fine-tune the engine output to deliver the best traction for the riding conditions. Benefit of A-Mode: For novice riders, and/or hard and slippery traction conditions, use A-Mode for a more controlled launch. B-Mode: When conditions at the starting gate have better traction, and a more aggressive launch is desired. S-HAC will advance the ignition timing to allow increased throttle response and stronger acceleration off the line. The ignition timing alternation is in a similar sequence as A-Mode, but with increased overall timing. One of three conditions will return the ignition to normal operation (whichever happens first): After 6.0 seconds or when you reach fourth gear, the system shuts off and returns to normal ignition timing. Benefit of B-Mode: For skilled riders and/or good starting conditions, use B-Mode for a more aggressive launch. The 2019 RM-Z250 features a new frame and swingarm design that continues Suzuki’s reputation for creating the best handling motocross motorcycles. Tomatchthehandlingpotentialofthe2019RM-Z250,thewheelsarefittedwiththerace-developedDunlop Geomax MX33 tires. Additionally, the rear tire is nearly a half-pound (160 kg) lighter than the tire used on the prior RM-Z250. Click here for more Suzuki motorcycle reviews and news.